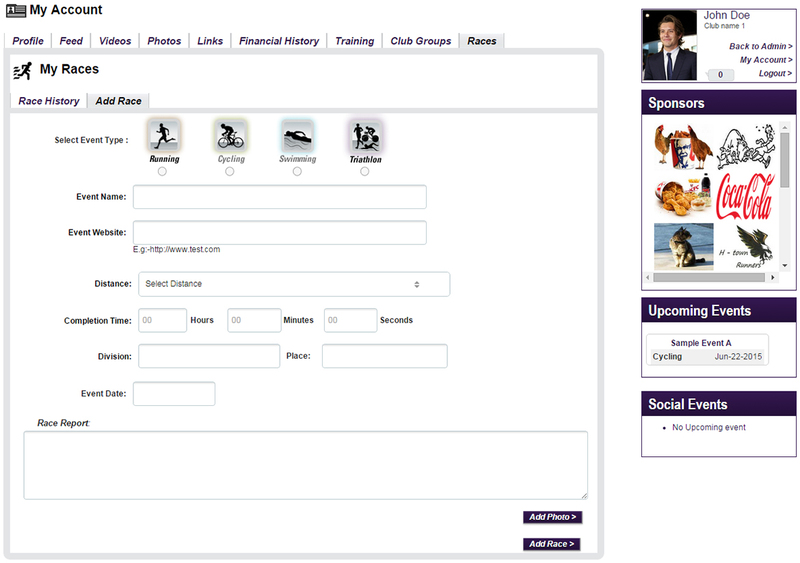 Each member of your club will have a customizable profile. Here, members can manage their username, password, and profile photo, as well as what information they want published in the member directory. 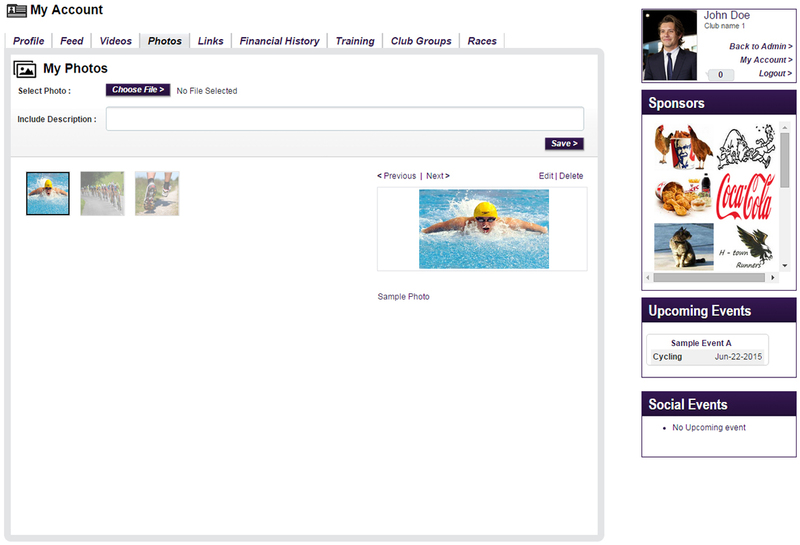 Member profiles can help create a sense of community and connectivity for your club, and with The Driven, members can invite their Facebook and Twitter friends to view your club site and join the club, letting your club members market for you! Club sponsor logos and site hotlinks can easily be added to your site by your admin and are visible to club members on their profile page. 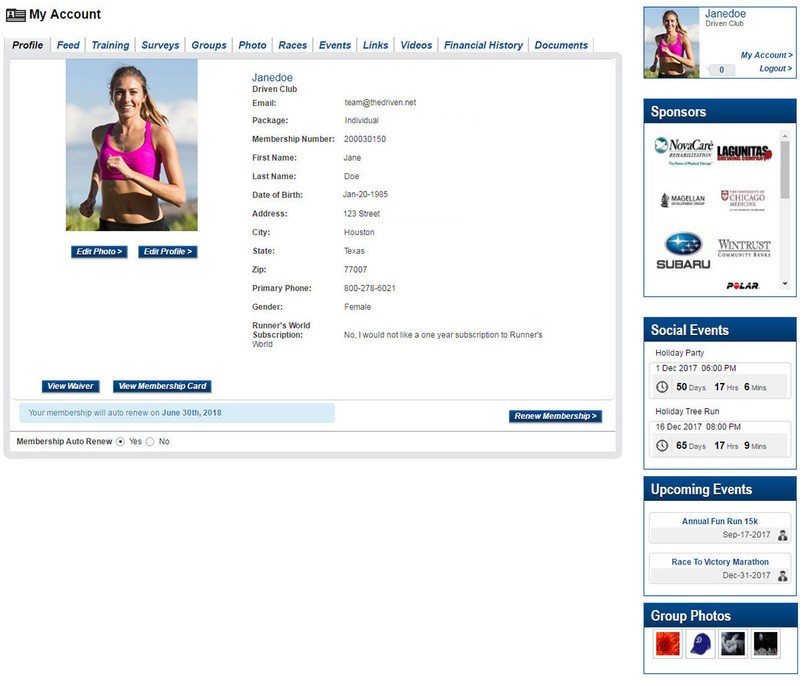 The feed page allows your club members to quickly post a status, photo, or link to the club's site as well as to their Facebook or Twitter account. All site activity related to each member can be easily found in their Feed page, including announcements by coaches, invitations to events, and comments made on the member's activities. With The Driven, your club members are able to interact in a variety of ways to maintain the social connectivity good clubs cultivate. With a few simple clicks, your club members can upload video files and links complete with titles and descriptions to share on their profile page. This feature offers your members another way to stay	connected and engaged using The Driven's Club Solutions Platform. Your club members can personalize their account and connect with other members by adding photos. Other members will be able to view the photos in the Community Feed, adding another dimension to club members' online interactions. In addition to photos and videos, club members can quickly and easily add web links complete with a title and description that will automatically be shared via the Community Feed page. The Financial History tab allows your club members to view their financial transactions made in regards to club and club event registrations. In The Driven's highly specialized My Training feature, your club members can log their workouts for running, cycling, and swimming. With all of their workouts logged in our My Training features, your club members can quickly review their workout history and fitness improvement as well as share their progress with others. 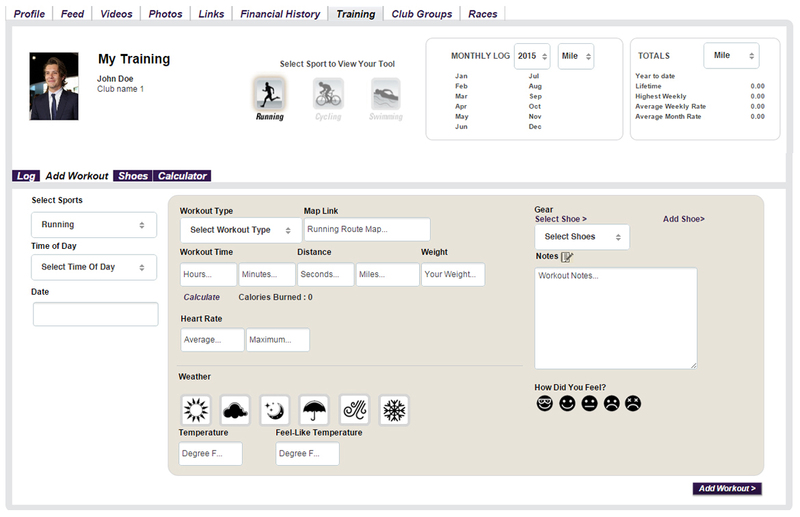 In the Add Workout feature, club members can not only manually add or automatically import workout details, but they can also add comments about their workout. 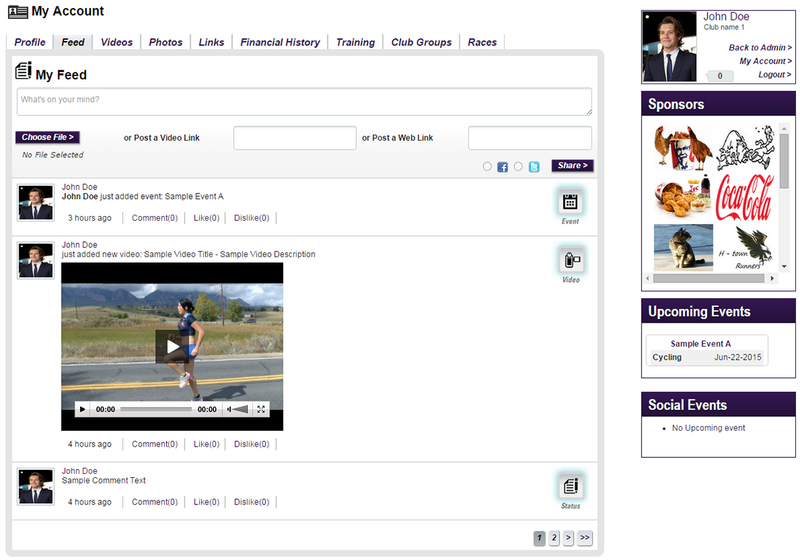 Club members can opt to post their workouts on the Club Feed page, Facebook, or Twitter to share their training progress. With The Driven's Shoes feature, your club members can keep track of their shoe mileage to help them know when to replace their shoes to reduce their risk of injuries. 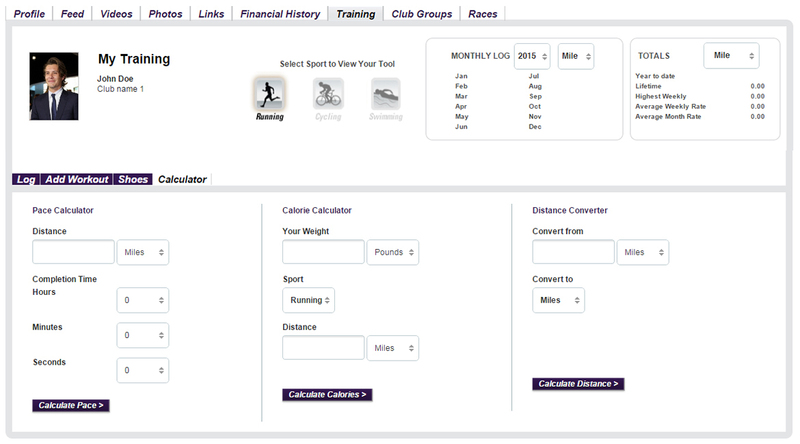 Club members can easily and conveniently calculate their pace, calories, and more using our Calculator feature. Club members and club site administrators can create groups to accomodate the various needs of the club. For example, you might want to create pace groups or a beginners' group or an activity group. Members can quickly access their groups from their account to monitor communication and send messages to others in the same group. 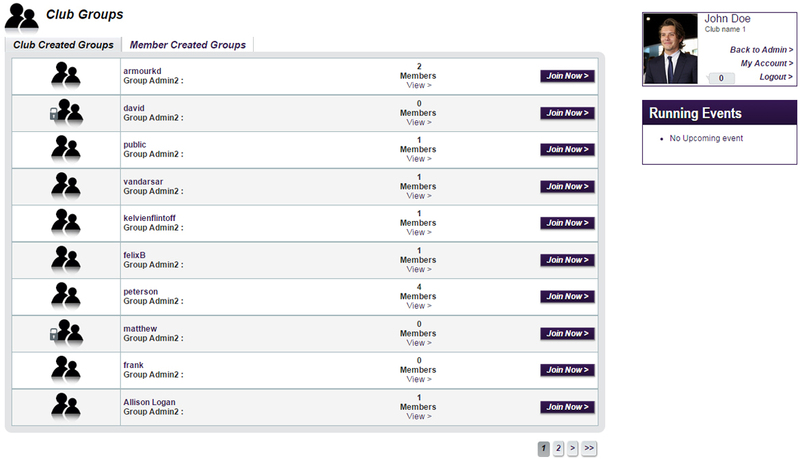 With the Groups feature, club members can create both private and public groups to connect with others on their terms. 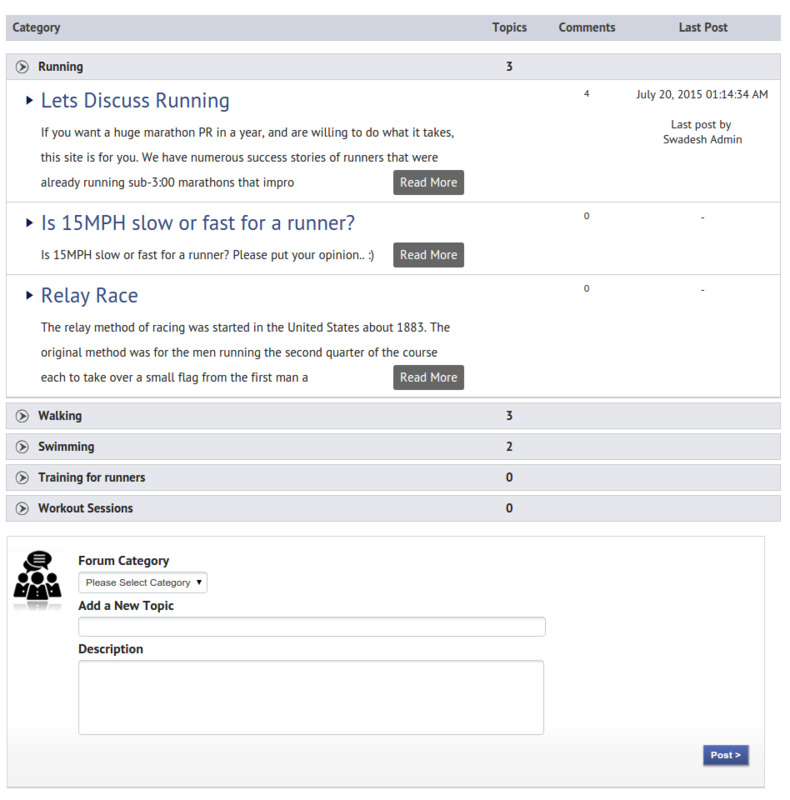 With The Driven's Races feature, your club members can log all of their race activity in one spot and conveniently share their experience with other members on your club's site. 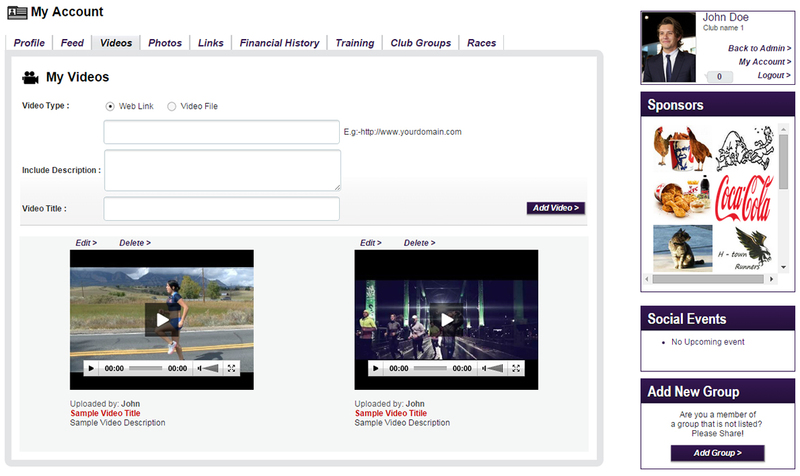 Members can personalize their achievements by writing a race report, adding photos, and more. Join forum discussions with club members and coaches. Anyone can create the topic and contribute to the conversation. Connect with your club members, get and give advice, learn something new and have fun!